We gathered 20 members @ The Champagne Bar by Richard Juhlin for a tasting of the full range of the champagnes from old time favorite Egly-Ouiret from Ambonnay. We have for a long time tried to get hold of the Comtes de Champage with age. Which has been a dilemma when the company historically had to improve the finances of the company as they sold a lot of Taittingers grapes to others. Whereupon also sold out almost everything they had in the cellars. Since 2002, however, Taittinger started to build a new reference oenothèque of Comtes de Champagne. Here we have a situation similar with Cristal. Buy everything you come across, and early. 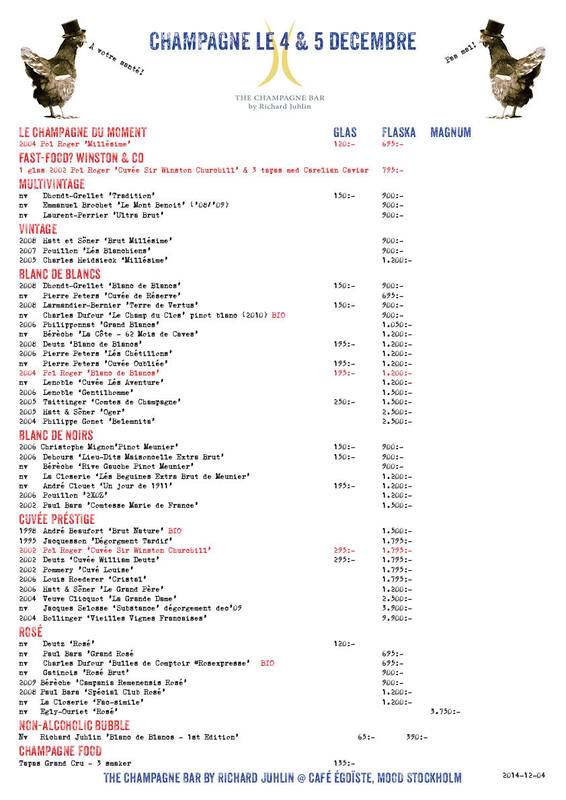 If you do not plan to pay quite a lot for your mature Comtes de Champagne, of course. The tasting group in Stockholm met for yet another great tasting this week – Dom Pérignon Rosé @ The Champagne Bar by Richard Juhlin. This Friday we had the opportunity to invite members of Richard Juhlin Champagne Club to a presentation of our new champagne glass – ’Richard Juhlin Optimum’. The three designers Mårten Classson, Eero Koivisto & Ola Rune where there to share their views on this new design. 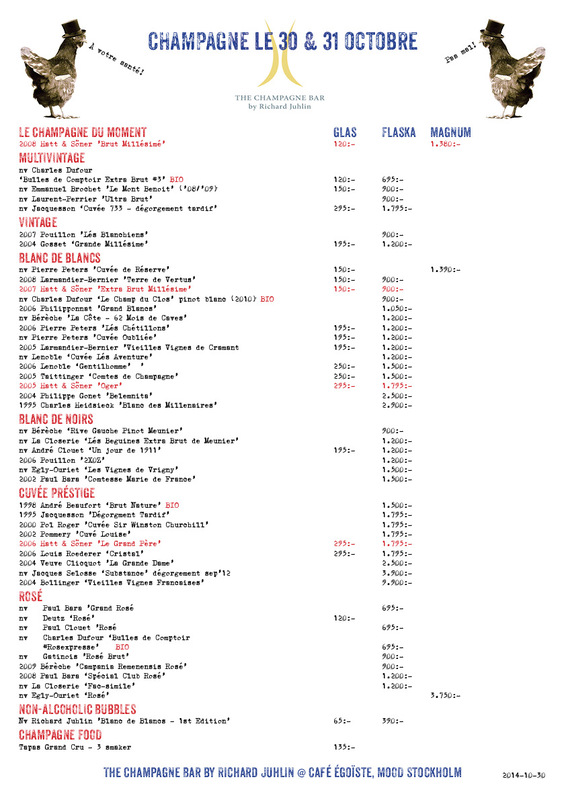 New week, new Champagne list @ The Champagne Bar by Richard Juhlin @ Egoïste. This Friday night at The Champagne Bar by Richard Juhlin mr RJ passed his 9 000 tasting note! 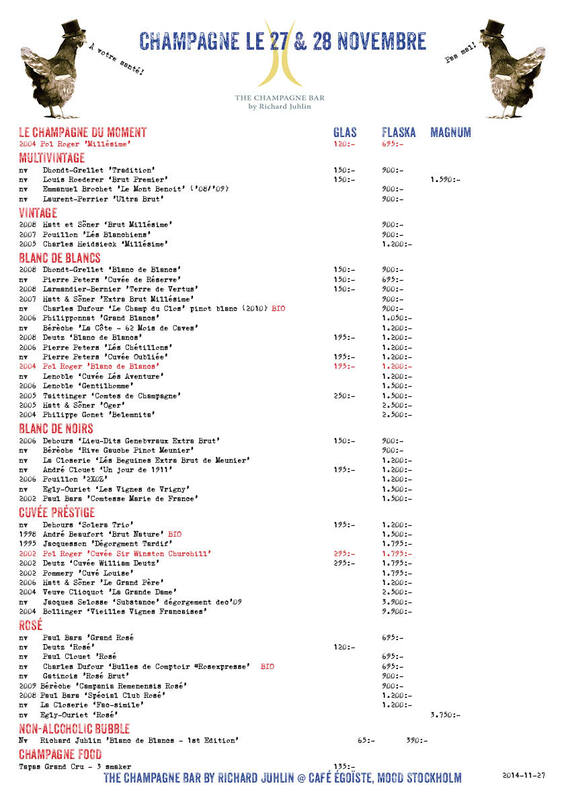 New week, new Champagne list @ The Champagne Bar by Richard Juhlin.